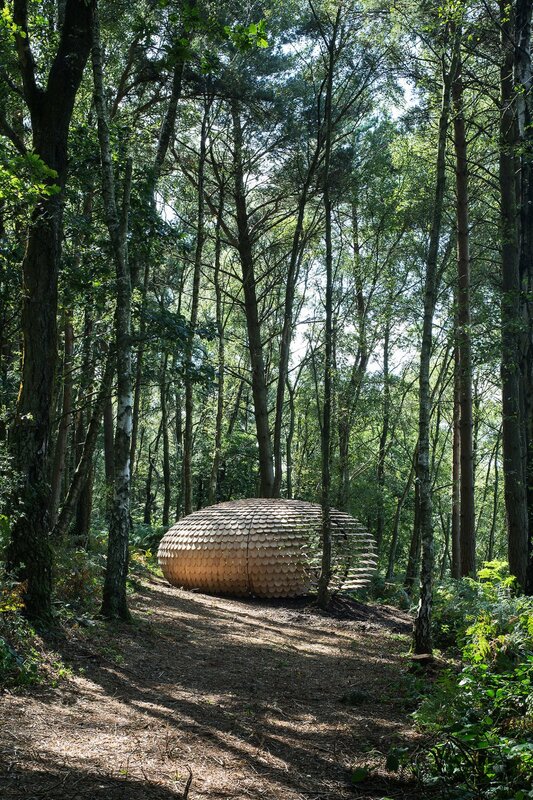 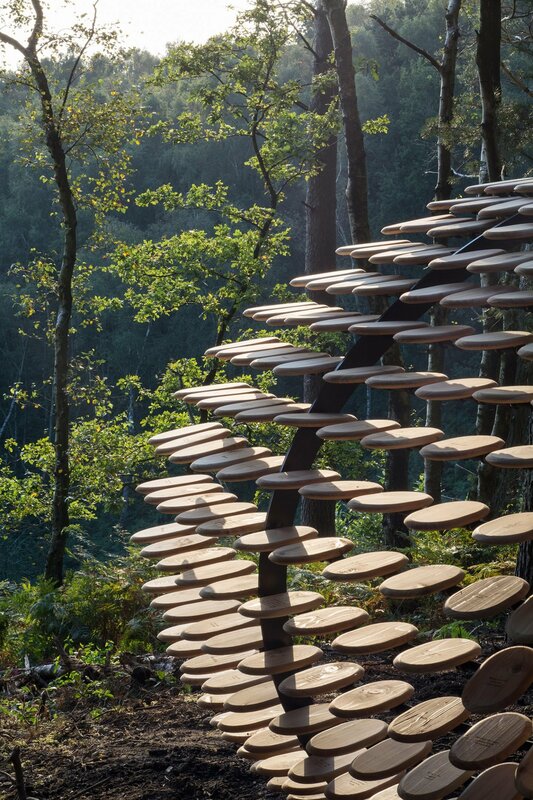 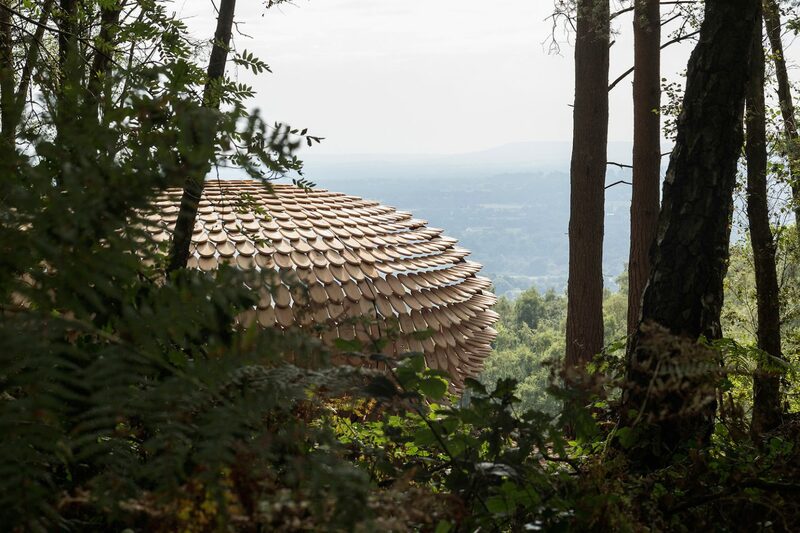 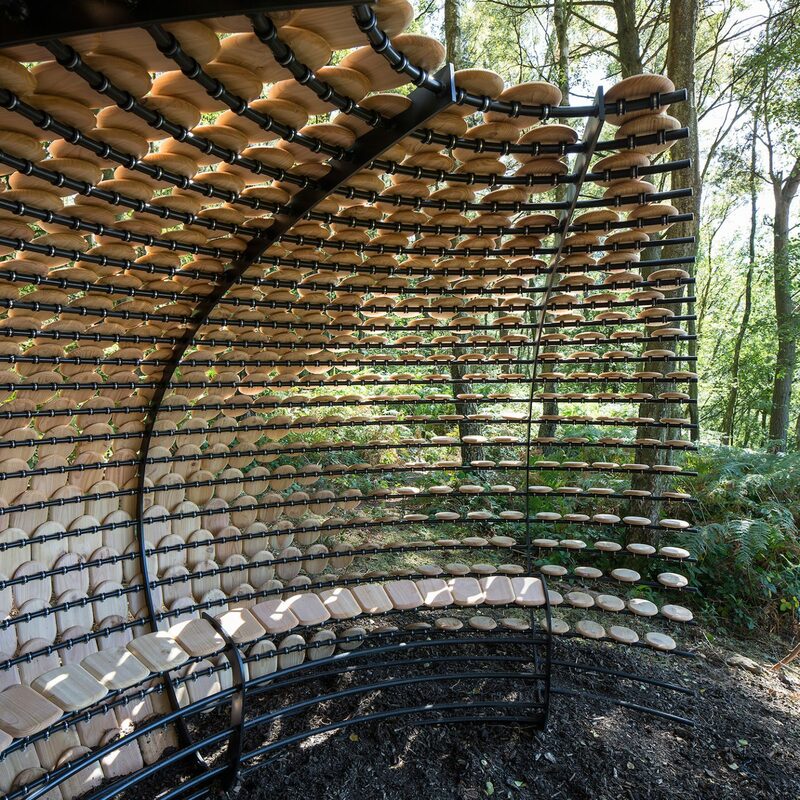 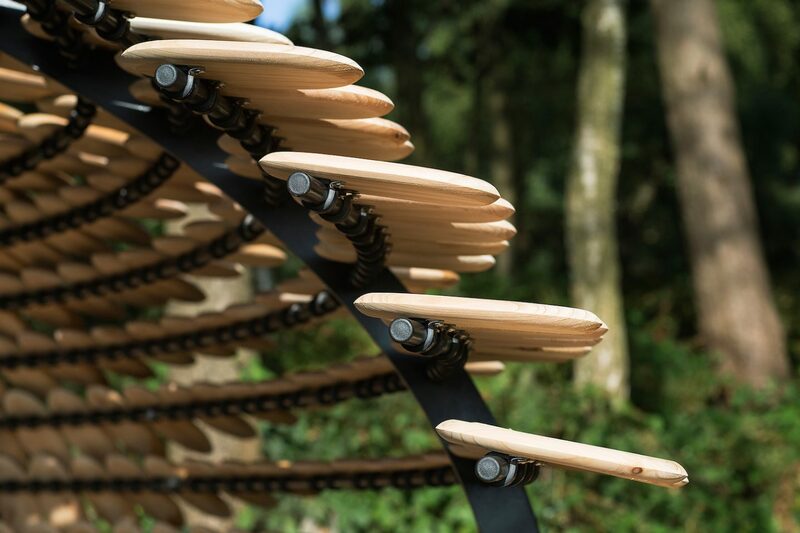 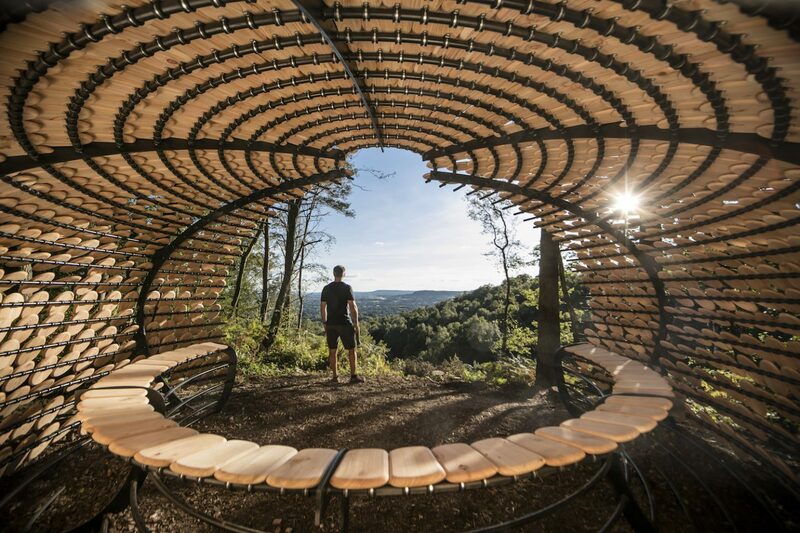 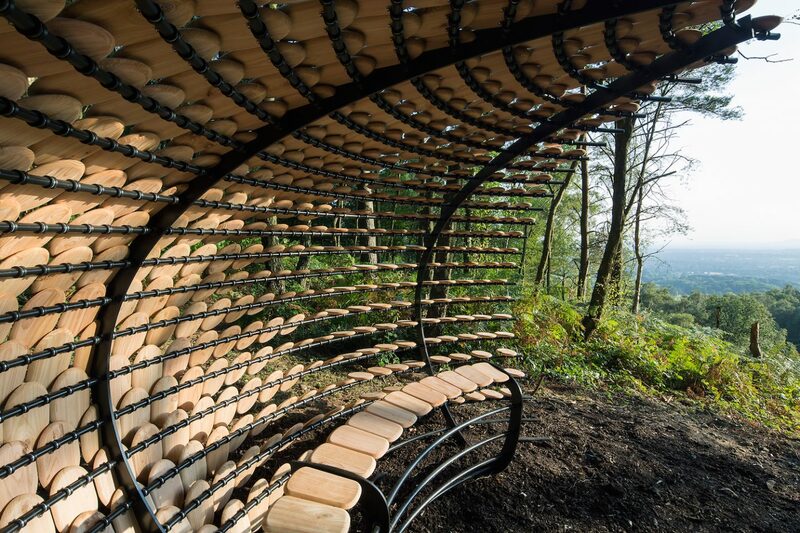 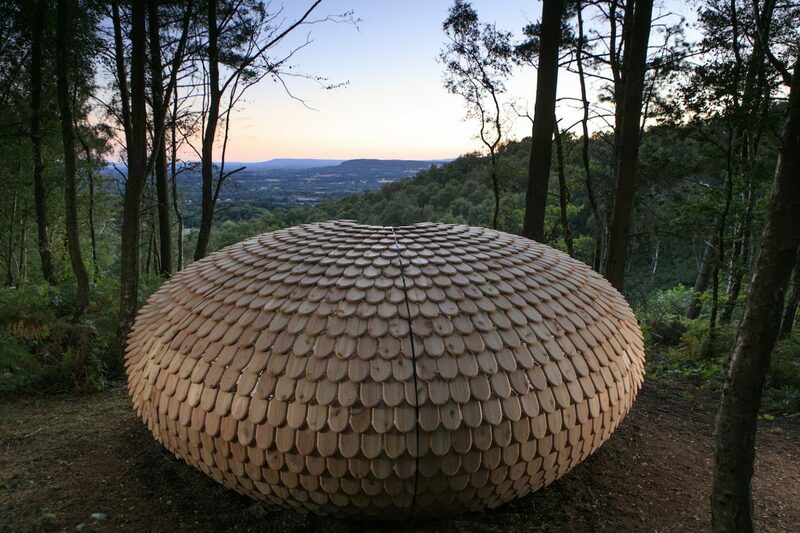 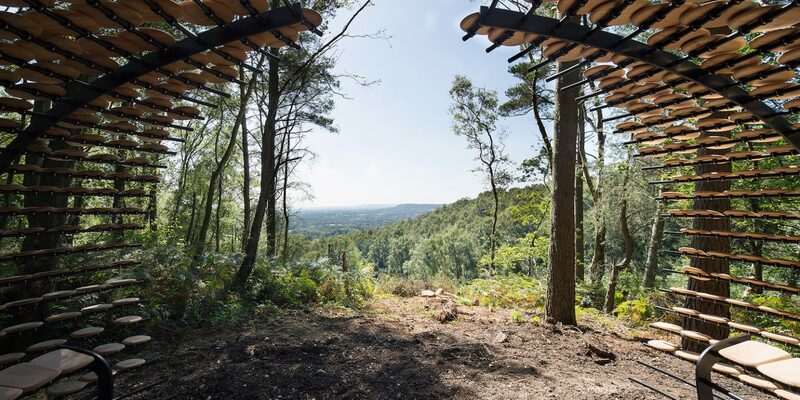 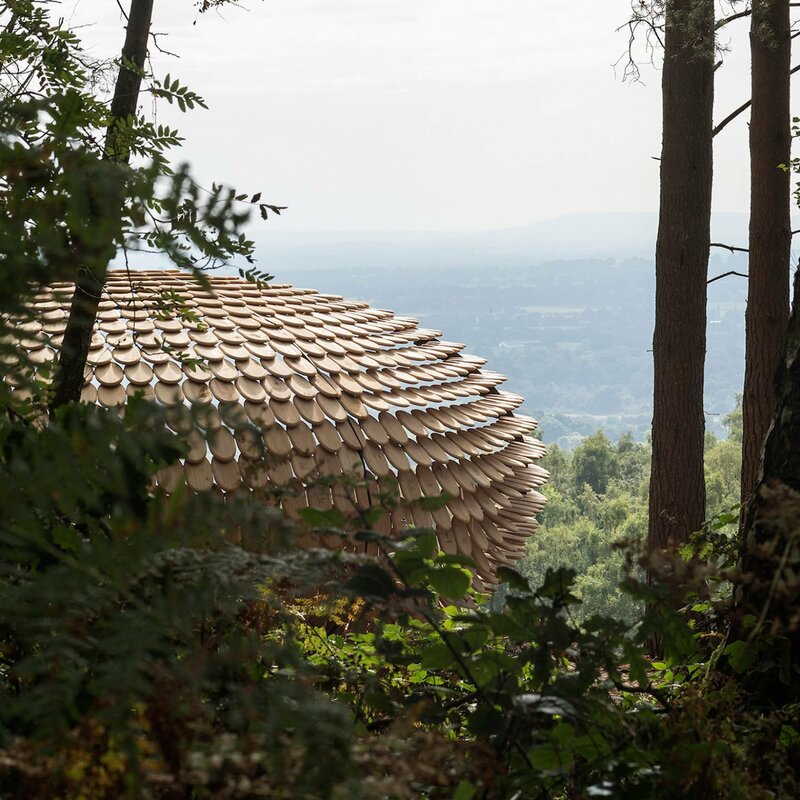 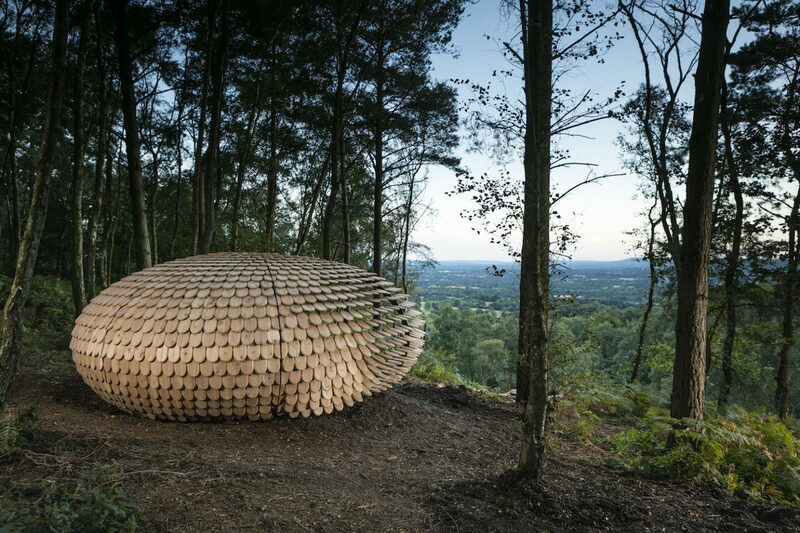 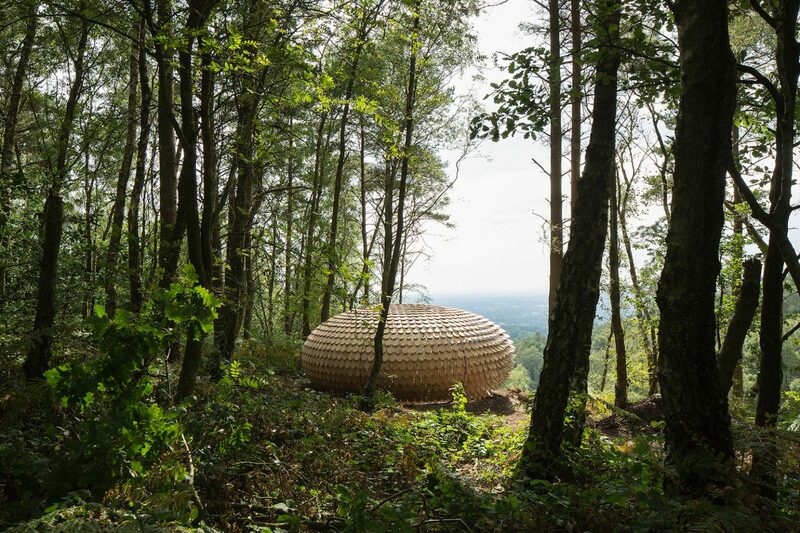 Winterfold forest in the English county of Surrey, the installation is situated along a scenic walking route. 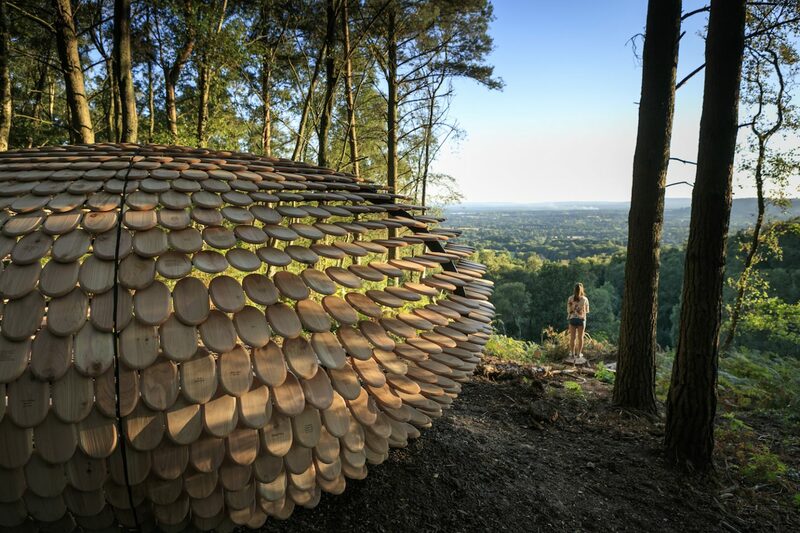 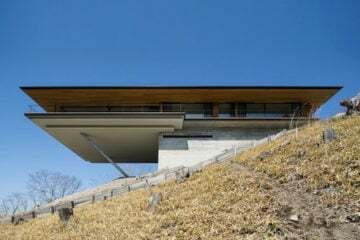 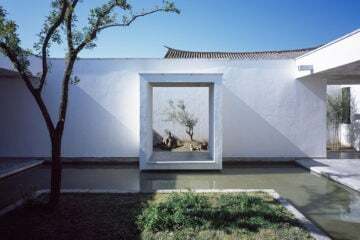 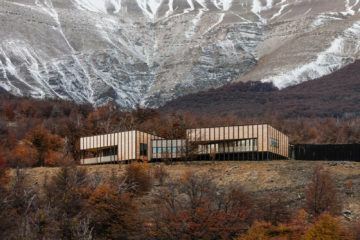 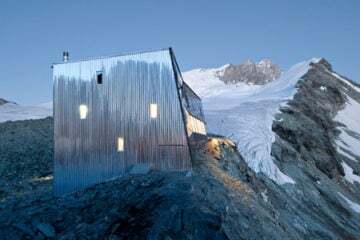 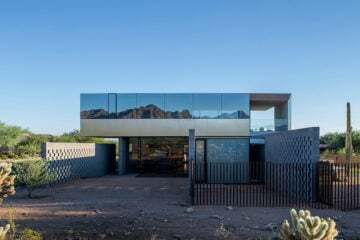 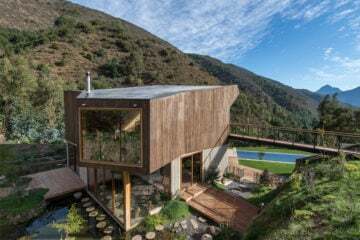 Closed and protective at the rear and main body, the surface shingles then open and flatten out to disperse at the front of the piece in celebration of the view in front. 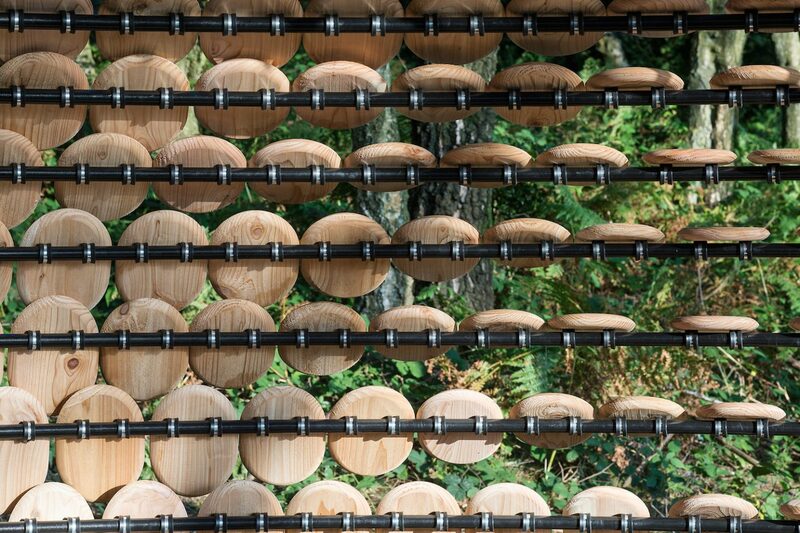 Each of the cedar shingles is laser etched with initials, messages and poems inspired by the words written or scarified by people in public places. 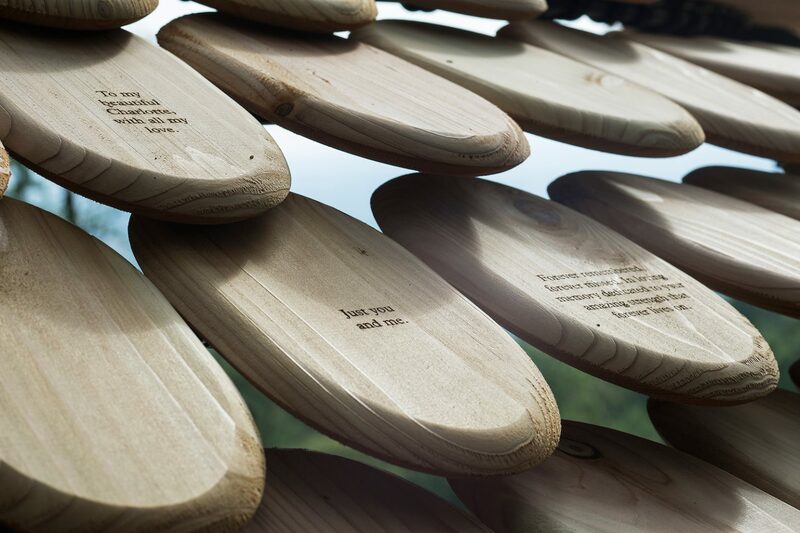 Giles Miller collected these words of love as an inspiration in order to etch them onto the surface of the organic cedar shingles that appear on the front of the sculpture. 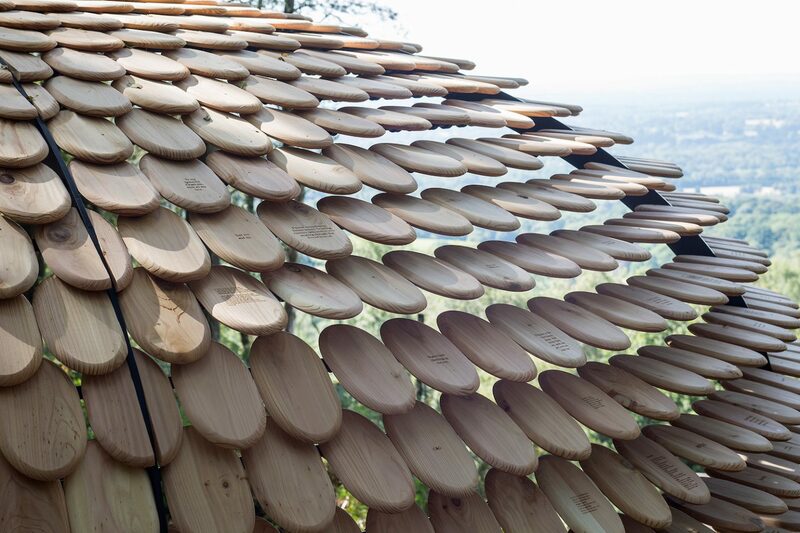 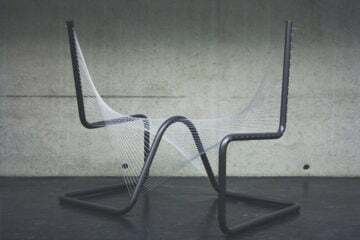 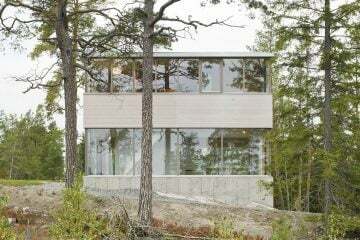 The designer intends the cedar parts to age naturally in the forest, gradually whitening over time.